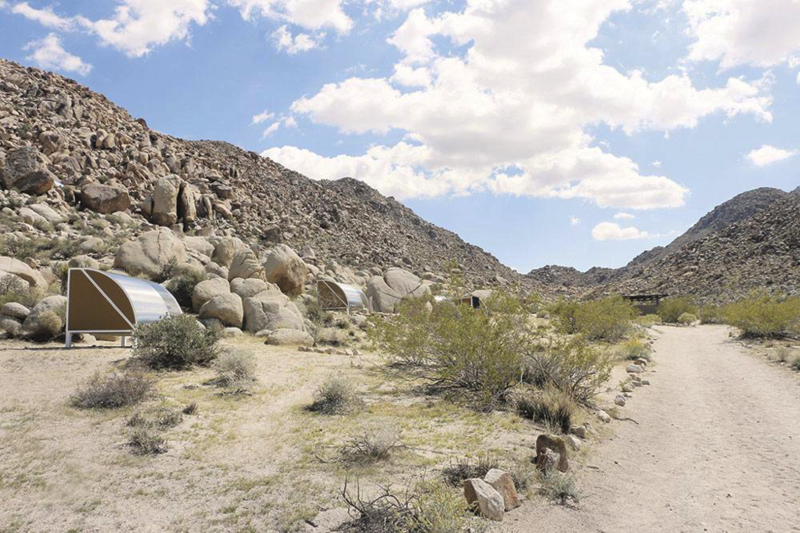 Since the fall of 2000, Andrea Zittel has investigated structures of living in the dry and rocky desert landscape of Joshua Tree. While she pursued the emptiness the landscape has to offer and hoped for a lonely existence, her endeavor has turned out to be inexplicably socially thriving. Her establishment on the outskirts of civilization continuously attracts visitors despite her desire for solitude. The tension of being alone and being with others proposes an inherent conflict, perhaps a natural cause of the accessibility and the intimacy in her work. 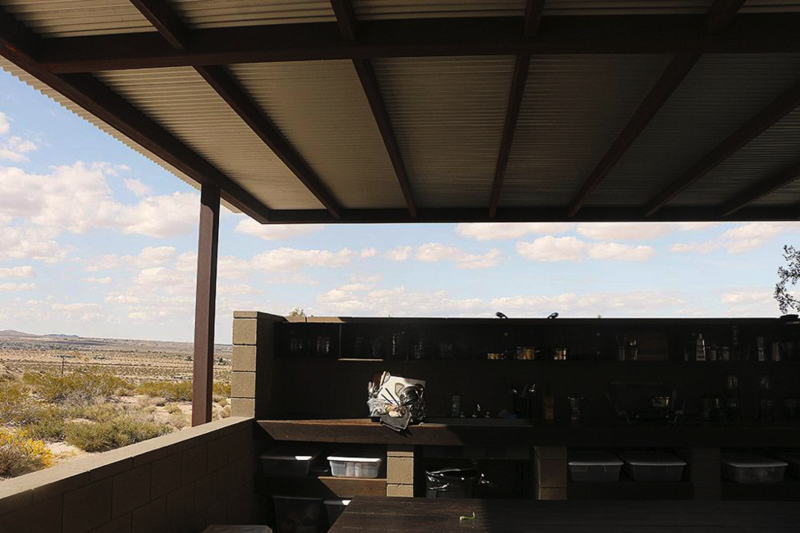 A-Z West, as she calls her set-up in the desert, is a site of various components entirely adjusted to its yellowy hazed, simultaneously ancient and futuristic looking environment; Andrea’s home base, a studio, the Wagon Station Encampment, Shipping Container Compound and a guest cabin for resident artists. 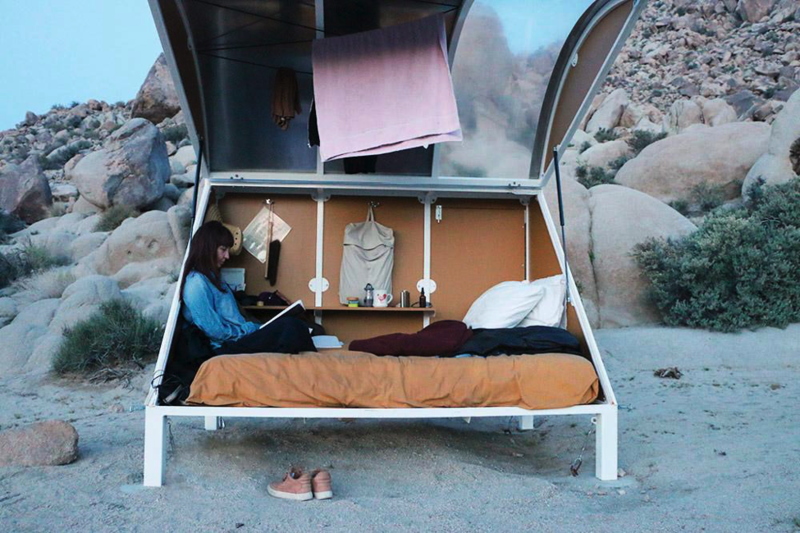 What was your experience like at Andrea Zittel’s Wagon Station encampment? When I first arrived at the encampment I had some adjustment issues. The lack of indoor space in combination with shifting winds and dropping temperatures made the first few days somewhat challenging and at times unbearable. So I continuously escaped to the car and spent a lot of time on the endless roads in the desert. Coming from New York, which is so crowded and occupied, it was quite amazing to drive around in the seemingly never-ending emptiness. When I got more used to the encampment and the winds were less aggressive, I started to enjoy the lack of confined spaces, but I always wanted to move somewhere. It didn’t really matter where or why, just as long as I kept moving. I would go for hikes in the strange, rocky landscape or to the communal kitchen and back to my wagon, or to Zittel’s beautiful compound garden. I was not the only one either; everyone at the encampment had something to do and somewhere to go, even though none of us in fact had anywhere to go or anywhere to be. At times the encampment could seem completely empty, like no one was there. But behind a rock or on top of a hill someone would sit with a pencil and a sketchpad or a book, or they would just wander around. With my capstone I wanted to explore how design can create alternative platforms that investigate constructs of everyday life, so I was looking for cases that corresponded with this on one level. Zittel’s work with the Wagon Station Encampment investigates design and material culture and its impact on structures of living, which by itself aligns with my research. When I discovered that I could actually go there and live inside the artwork, the encampment seemed like a perfect case for me to study. Luckily my application to stay there was approved so I got the chance to go to Joshua Tree and experience the encampment first hand. What did you learn from your experience staying at the Wagon Station? I think Andrea has created a wonderful place and I am very grateful that I got a chance to visit the encampment. One of the things that fascinated me most was that everything at the encampment is familiar and known but it is configured slightly different, which makes it so unsettling. I think the nomadic instincts that followed me while I was there derived from this. As soon as I came back to New York this instinct disappeared, –the space here is already so cluttered and busy, continuously changing yet unchangeable. In the muddle of everyday life it is, at least for me, difficult to act in a way that promotes a change or just differently from “what is.” So many structures are unseen and it is challenging to even imagine what “different” can be. For me, Zittel’s investigations are an inspiration to challenge these structures and our mental constructs of how we expect to live our lives. I would love to hear more about your capstone – what is it about, why did you decide to focus on it, and what was your goal in implementing this project? As I started working with my capstone project I was interested in sustainable design and how it sits in our fundamentally unsustainable way of life. For me the idea of sustainable design appears to be caught in a continuation of “what is:” at worst, eliminating one problem and creating another and at best, questioning “what is.” So throughout my capstone I have explored how design, as a forward-projecting activity that continuously evolves, has the potential to provoke a change, where the ultimate goal is something other than “what is,” something that is not yet present and that only resides in the imaginative. Naturally this led me to some utopic case studies, of which the Wagon Station encampment is one. I have also studied other cases such as the Drop City, a countercultural, communal settlement in Colorado that started in 1965 and was essentially an artist’s colony, where the boundaries between art, life and reality were continuously blurred for almost a decade.